The truth might set you free, but you better be prepared for the consequences. 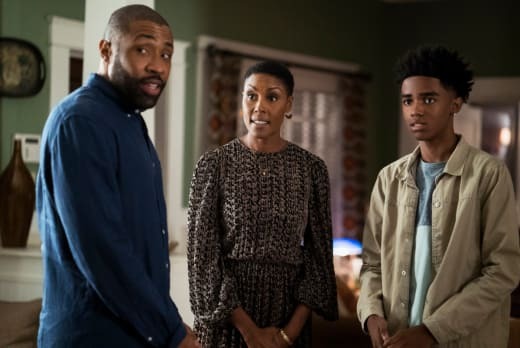 The Pierce family learned that the hard way on Black Lightning Season 2 Episode 2. Thanks to the metahuman powers of Issa Williams, candor nearly tore the family apart. Everyone finally came clean about their inner thoughts, frustrations, and feelings in what was a very uncomfortable dinner. But, the family was better off because of it. No longer could they hide behind concerns and regrets. Jefferson, Anissa, Lynn, and Jennifer faced their toughest enemy yet: the truth. Jefferson's world, in particular, turned upside down because of Painkiller's attack at Garfield on Black Lightning Season 1 Episode 12. Balancing the responsibilities of being both the principal and Black Lighting took their toll. He could no longer keep the facade going of creating a safe and sustainable school environment for everyone. He, unfortunately, had to face the consequences of his lies. We all know that Jefferson was at Garfield protecting his students, but he could have never admitted his secret identity only to save his job as principal; that would've jeopardized everything. Sacrificing the position he loves so much will be better for the good guys in the long run. He did the right thing by making a decision that was best for everyone. While I wish Jefferson could've stayed as principal since he was amazing in his role, now he can focus on being a great teacher instead. And, he can put more energy into being Black Lightning and stopping Tobias. The conflict he's having with Anissa is an issue that's been building over time. Jefferson never basked in the metahuman joy of being Black Lightning. Sure, he got the praise and notoriety of helping people, but he still kept to himself out of caution. Anissa's approach, on the other hand, was completely different than his own. She's thriving as Thunder, and she's reaping all the optimism of being a hero. You could hear in Jefferson's words how much he didn't like her showboating attitude. While his tone came off as a disapproving parent, he did have a point about not being reckless. Anissa still needs to keep her wits in check and be humble. If she doesn't assess her situation before fighting, she could get hurt and die. A lot of their tension stems from the father/daughter power struggle. Before becoming Thunder, she was a young woman in medical school, but now she's also dealing with a superhero partner, who also happens to be her father. Could you imagine if your parent was also your colleague, but they still treated you like a parent on the job? Anissa wants respect and independence, and those are two things that she should get. Thunder has done a lot of great things for the people of Freeland; she needs the chance to shine. For a truly harmonious life, Anissa also needs to get her dating life in order. What happened between her and Grace? The last we saw of that blossoming relationship they had major sparks flying between them. Now, Anissa is acting like a player, and Grace is heartbroken. So much has changed since Black Lightning Season 1. Anissa should text Grace and meet up again. Their geeky and passionate relationship was so shippable. Yes, Zoe and Anissa had lots of chemistry together; even I felt the fire between them. However, they also came off more like a fling than a potential ongoing relationship. How long could they last? Right now, I'm rooting for Grace in this love triangle. Similar to Anissa, Jennifer should take some time to figure out her feelings before it causes her powers to lash out. The rooftop rendezvous with Khalil nearly exposed her secret to the enemy. 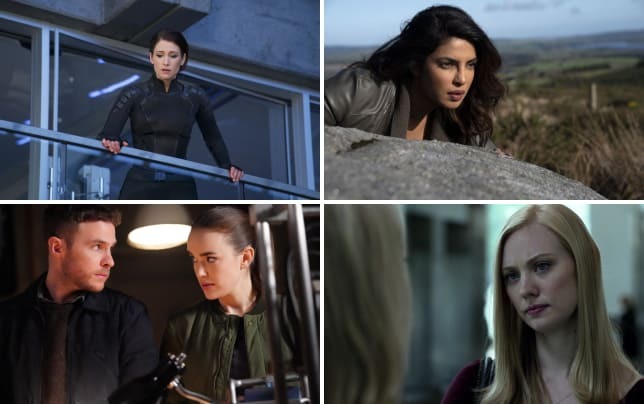 We already knew about her inner conflict being a metahuman; the compulsion by Issa only reaffirmed that general fear. Her feelings for Khalil, on the other hand, were stronger than realized. If we look at her glowing eyes as an example, she still likes him. The time since he became Painkiller and joined Tobias wasn't too long ago. Regardless of her pushing him off the roof, neither looked ready to let the other one go. But, she should be careful about her feelings. Khalil said it himself: he feels in debt to Tobias and must work for him. Jennifer can't let that baggage into her life, especially when she's dealing with her metahuman-sized problems of her own. Plus, if Khalil finds out the truth, you know Tobias is going to find out too. That romance doesn't look like it will have a happy ending. 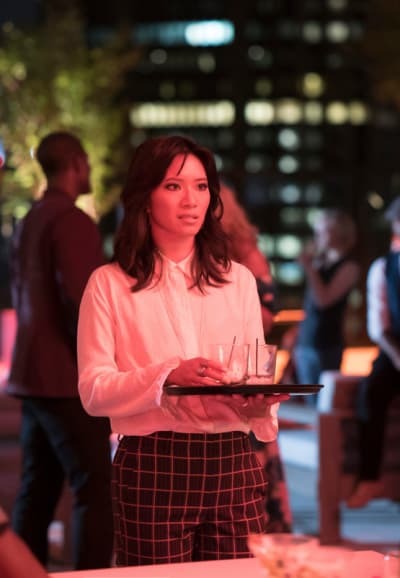 The metahuman drama of the week focused on the escape of Wendy Hernandez, a metahuman with the ability to control wind. 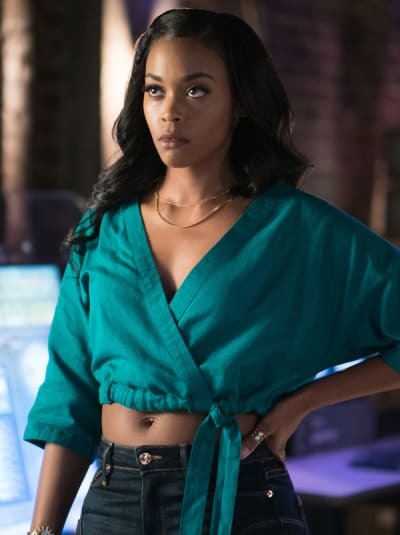 She caused a bit of destruction in downtown Freeland before Black Lightning brought her back to her senses, and she returned to the pod. In theory, this description sounds exciting and thrilling. Here, we would have Jefferson and Anissa show off their electric skills against an equally powered elemental foe. You could compare this to what you'd expect in a fight on The Flash. In the case of "Black Jesus Blues," this windstorm felt more like a simple breeze. With exception to the family drama and Issa's powers, nothing happened. All of the buildup for Black Lightning and Thunder to take on a green light enemy amounted to one short fight where all Jefferson did was achieve one blast of electricity. Black Lightning and Thunder spent more time cleaning up after Wendy's mess and fighting amongst themselves, than fighting their supposed conflict of the week. Even the first escapee of the pods who died after waking up caused more of an impact. 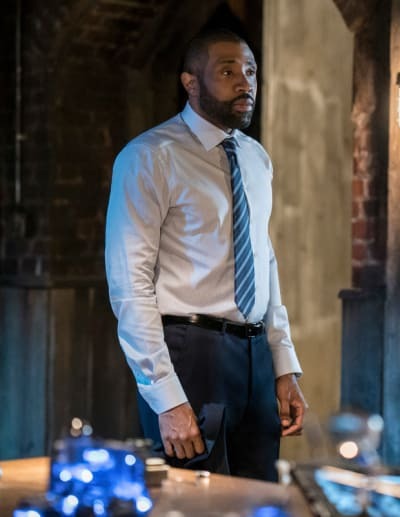 The action, powers, and fights don't need to be the main focus; Black Lightning succeeds because its characters are well-developed, and they focus on these deep connections. However, the superhero element can't come across as an afterthought. Wendy's story looked as if it were included merely to have a green light tie-in in between the more developed plots. What positively did work was the emotional progression of Issa's story. In the short time we met the character, the plot took us on a journey through his death, resurrection, abandonment, and his future. There was a defined arc that left us sympathetic for his ultimate decision. Hopefully, he makes it through the green light curse. He seemed like a decent character, and there was potential for Issa and Jennifer to be friends. His legacy, on the other hand, did give us the perfection of the awkward Pierce family dinner! Everyone was at their peak pettiness, and we finally got to hear the truth about their inner thoughts and fears. Out of all the family members, Lynn was the biggest surprise with her resentment. She always seemed so composed and in control. We were so wrong. Did you see her expression? Her snap to Jennifer snapped, crackled and popped. The cheering in the auditorium when Jefferson announced his resignation was so heartwarming. His students and faculty truly cared about him; he really did change their lives. 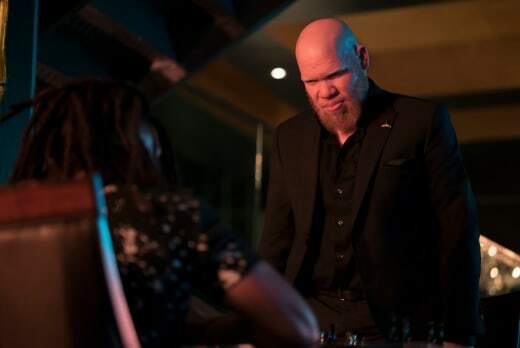 Note to self: never play a game of chess with Tobias! Khalil looked so afraid to lose. Could the new principal be an enemy? I'm getting the vibe that he might pose a conflict to Jefferson in the struggle between being a teacher and Black Lightning. There were so many scientists in that lab, like more than expected. And furthermore, why would they all flock to the escapee when someone just died? That move seemed like a bad idea. 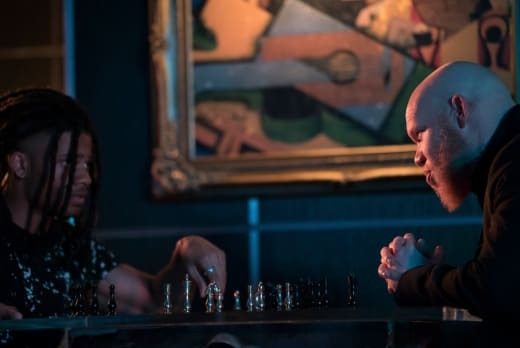 What did you think of "The Book of Consequences: Chapter Two: Black Jesus Blues"? Will Jennifer give Khalil a chance? Could Anissa push away from her father to be a solo act? Will any other children escape from the pods? 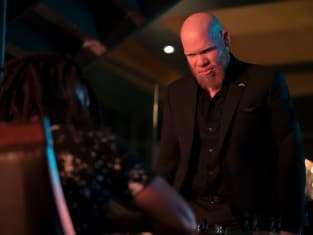 If you missed the latest episode of Black Lightning, you can watch Black Lightning online via TV Fanatic. Come back here and share your thoughts in the comments.